With the NHL lockout in effect until further notice, the NHL has cancelled all games for the entire month of November. Negotiations between the NHL and NHLPA have come to a standstill and now all eyes are looking forward to the end of 2012. As game cancellations continue, anything close to a full season looks about as likely as the Mighty Ducks beating Team Iceland. However, as we wait in joyful hope for the coming of our savior Lord Stanley Cup, hockey is underway overseas with many of the Bruins roster settling in for what could be a longer lockout than we (and probably the players) imagined. Now is a good time take a look at the best performances thus far by some Bruins bleeding black and gold in the Eurozone; Captain Zdeno Chara, Co-captain Patrice Bergeron, Tyler Seguin, Rich Peverley , David Krejci, and Tuukka Rask. Chara has gone back to Prague, Czech Republic where his career started, now suiting up for HC Lev Praha. Lev Praha is in their first season in the Kontinental Hockey League (KHL) and are fortunate to have big Z representing their team in the most prominent league in Eurasia. Bergeron and Seguin have made the move to the Switzerland to play puck. 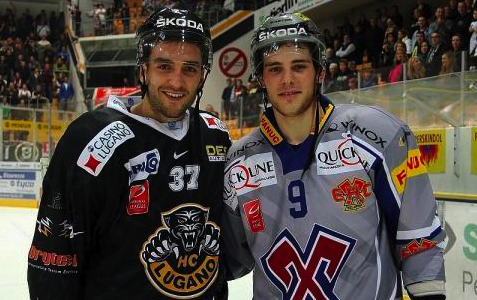 Bergeron (HC Lugano) and Seguin (EHC Biel) are having tremendous starts to their Swiss campaigns. Seguin is tied for first on his team in points (8-9, 17) and Bergeron is tied for third (7-7, 14) while playing in just a third of his teams games this season. Seguin’s numbers are good enough for 9th overall in the Swiss National league and he has been the best performer among Bruins players overseas, which is a great sign for Bruins fans. Rich Peverley (JYP) has taken his talents to Finland, posting 1 Goal and 9 assists in 11 games, good for 6th on the team in points (1st place team in the Finnish league). Krejci, playing in the Czech league for HC Parbudice in the same league as teammates Tuukka Rask and Andrew Ference, is currently on a ten game point streak and hasn’t been held without a point since his debut. Krejci scored against Rask on October 26th but was stuffed by Rask in a shootout later that game. Finally, in the wake of Tim Thomas’ baffling leave of absence, Tuukka Rask has shown he is more than ready to make Thomas disappear from the conversation. 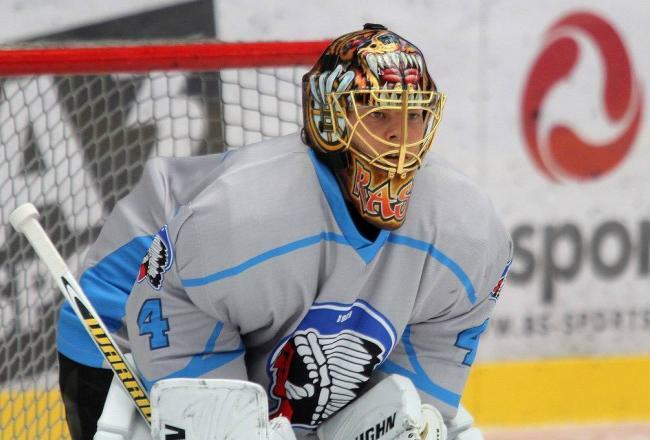 Rask has posted an 8-2 record with a league leading 1.97 GAA and a 92.86 SV% playing for the first place HC Plzen in the Czech league. On October 23rd Rask came up lame in the first period with a groin injury and left the ice. It turned out to be precautionary but was certainly a scare for Bruins fans as Rask missed the last 6 weeks of the 2011-2012 NHL season with a groin injury. He returned to action three days later to earn another victory. So although the NHL season lies motionless like Eric Lindros for the better half of the 90’s, there is reason to be optimistic and excited about the Bruins when an agreement is reached and the NHL resumes. The Bruins roster is full of young, talented players who have a great opportunity to bring the Cup back to Boston. As more and more NHL players populate Euro rosters, it’s awesome to see Bruins among some of the best performers. As for the few remaining Bruins that are either too mediocre to play in Europe or too old to care (Shawn Thornton) my Tuesday night team could use a ringer and we haven’t had a lockout since Nam. This entry was posted in Bruins and tagged boston, boston bruins, boston sports blog, Bruins players overseas, Chara, nhl, NHL Lockout, seguin by rtravers. Bookmark the permalink.